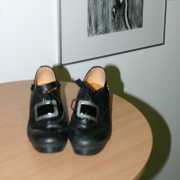 The domain www.irish-dancing.net represents the official internet presence of IDN. If not explicitly noted otherwise all statements represent official announcements of IDN. IDN does not guarantee correctness and actuality of the statements made here and can not be made liable for the consequences of decisions resulting from possible mistakes. The contents of this internet presence, text and images, are owned by Tec Dian exclusively. All links to internet sites of other parties are for information only and are neither regarding the contents nor technically subject to the responsibility of the author. Therefore the author does not guarantee and is not responsible for correctness or legality of the contents of these external sites. This internet site exists on a private internet account belonging to Tec Dian and is run by him technically and administratively. Tec Dian puts these services at IDN's disposal free of charge.